Do you need to store material to greater height and optimally use the storage space? For us - no problem. 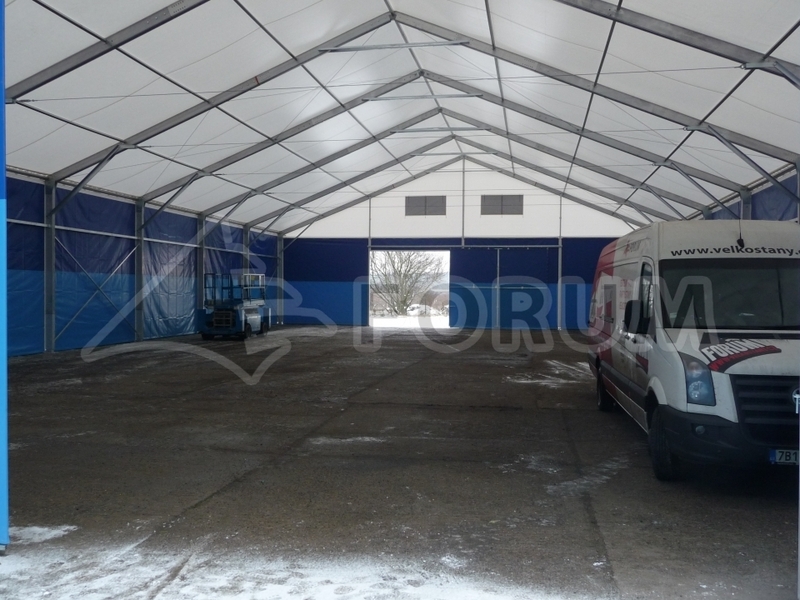 We can ensure manufacturing of a fabric building with increased walls ideal for installation of a rack system which allows you to use the available area to the maximum. 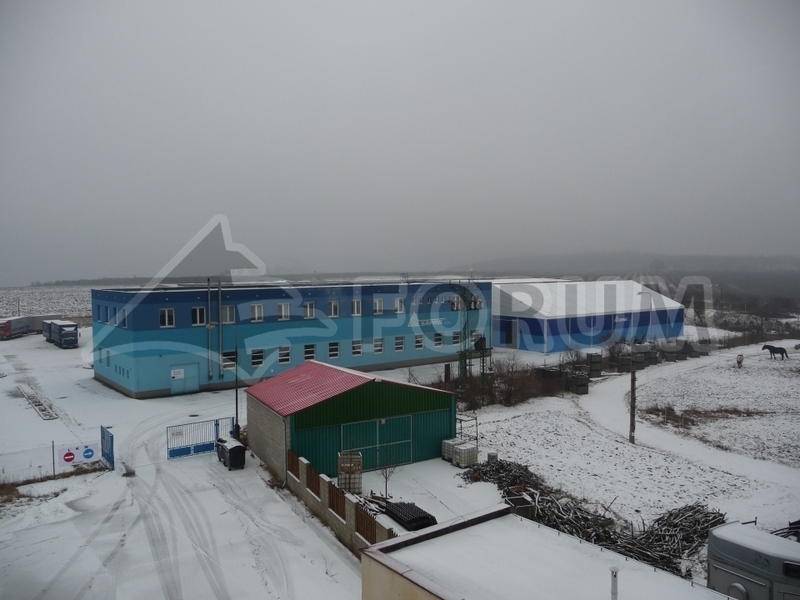 The example shows a building of SAPRIL s.r.o. in Most which specialises in carton and package making. 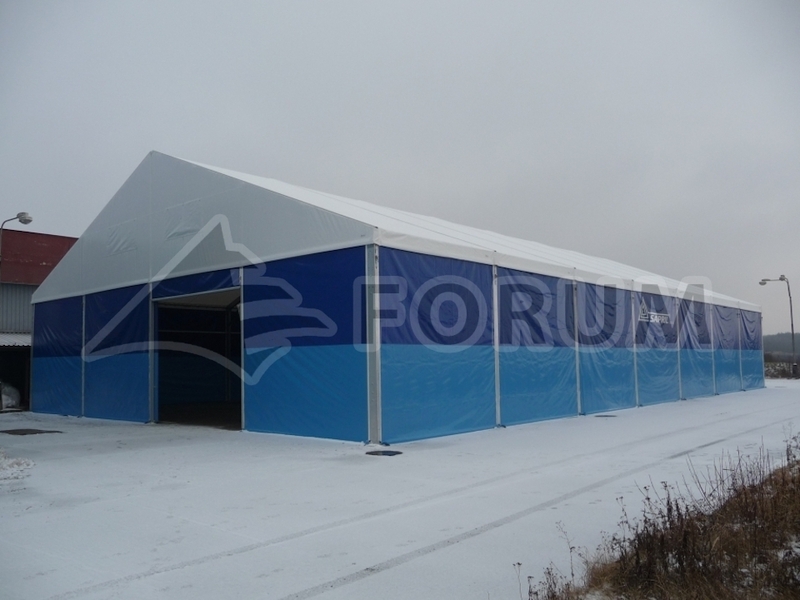 The building is 20x35 m large with 5 m high walls.